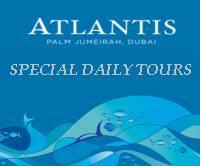 Exotic Dubai Tours and Safaris indeed thankful and obliged of all customers visiting our web site and contacting us.We respect your privacy and abide by all the general rules of privacy. 1. We never will sell your Name, Email messages or any private information to third parties at any cost. 2. Your information is saved in a secure area of our Server which is not accessible by general Public. 5. We abide by all laws and regulations of United Arab Emirates and The Emirates of Dubai. Read some testimonials of our customers. 10 Days Culture & adventure in Emirates and Oman.